Software engineering management could be described simply as a management position in the software industry. Many people may think of writing computer programs and code when they think of software engineering, but the field encompasses much more, ranging from the design stage, to the testing of software, to the maintaining, adapting and selling the finished product. The overall management of all these activities is extremely important to ensure success of the product. It is also a unique form of management and can differ from managing hardware projects. Specialization within the software development field will ensure that efficient managers will always be in need. In some ways this career path veers sharply from that of a software engineer. While it requires roots in software engineering or information technology, a software engineer manager helps direct a team of engineers at every step in the development process. They need to be organized, skilled at managing people, and must enable those that write code to do their job most efficiently. They may be responsible for the hiring process, customer presentations, attending conferences, handling travel, and other management details. All of these details would otherwise detract a software engineer, and become the sole focus of a manager. If you are already working in software engineering but want to move toward management, or if you are studying software engineering and think that your personality and working style might lend itself better to management and organization, this might be a great career path for you. Your knowledge in writing code is necessary and will prevent those with only the managerial skills from handling the job well. So you will definitely need to study computer science or software engineering and earn your degree and gain some work experience first if you have not yet. If you are already working in the field, consider pursuing some continuing education courses or a master’s degree to get the business skills you will need for these jobs. Some colleges and universities offer a certificate or advanced degree in software engineering management. This would be for the skilled software engineer, and is designed to give them an education in the business aspect of software engineering. They would learn business essentials and gain project management skills. There are also international conferences specifically dedicated to software engineering management and applications as well. If you have the required work experience and undergraduate degree, you could apply to a Master of Science in Information Technology, with a focus on Software Engineering Management. 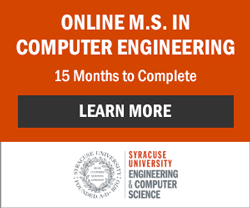 Some schools may even offer a Master of Science in Software Engineering Management. Typical courses could include systems project management, business analysis, software specification, software testing, and applied software project management. As the digital age advances, cost-efficiency and quality control will only become more important, and further specialization within the software development field will ensure that efficient managers will always be in need. Carrying a project successfully through from the pre-design stage to the testing and deployment of the final product could prove to be very satisfying, and becoming a leader in the software industry could also prove to be financially rewarding.